Mac users with Managed Software Center installed will soon see Install macOS Sierra as and optional install when managed Software Center runs. Clicking the + on the right side of the listing will start the download of the installer. The download Will take some time, and when it is finished You can click the update button to start the install. Your computer must be restarted to install the update. 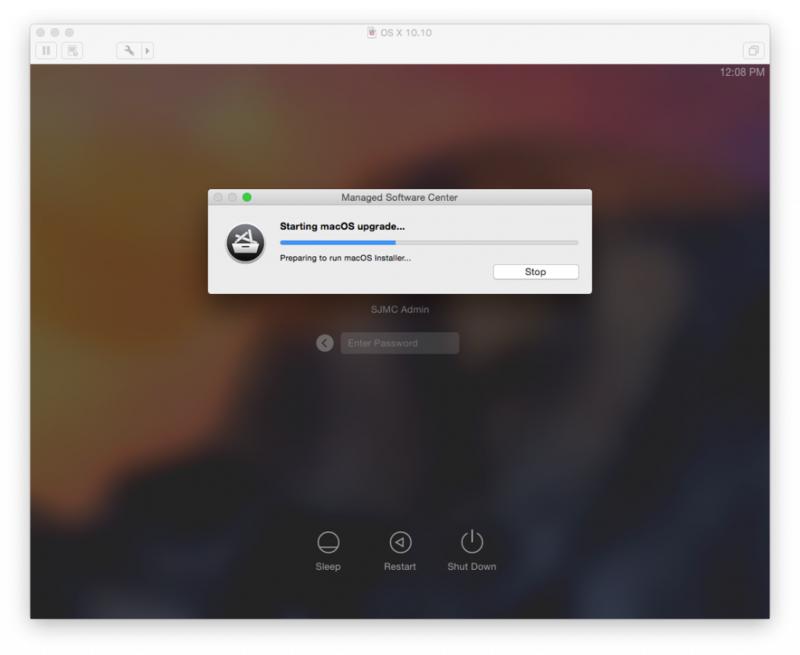 Before clicking Log out and update make sure you have quit all other running applications. 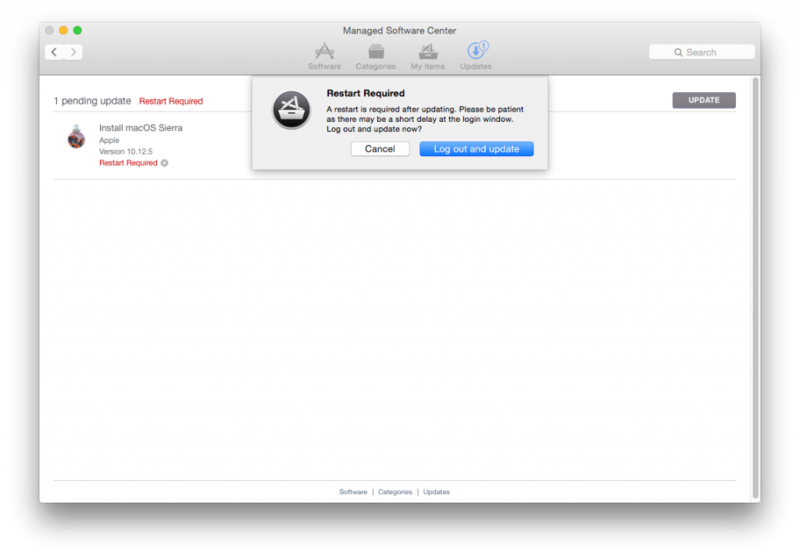 Managed Software Center will log you out and start the installer. 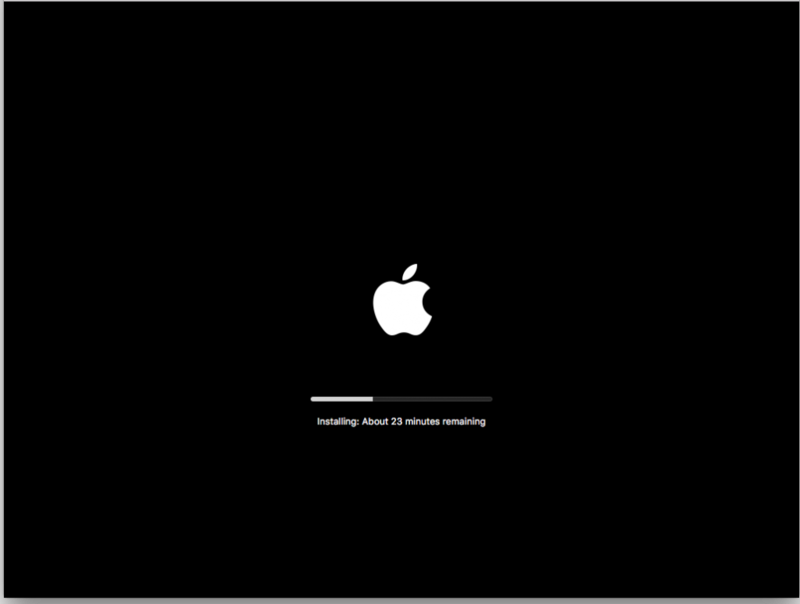 The macOS upgrade will take approximately 30 minutes. Make sure your laptop is plugged in to power.